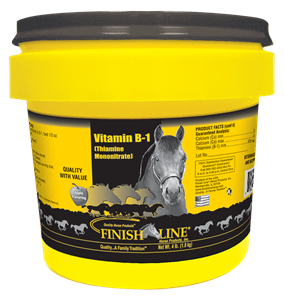 Finish Line®’s Vitamin B1 contains 8,000 mg per lb. of Thiamine mononitrate in powder form with our unique apple flavor. Great for healthy muscle and nerve function.